Minister tells Vodacom: ‘Shut up!’ But then shuts up herself. Ndabeni-Abrahams, appointed to the post in late November, took to social media Monday and intervened in a dispute between Vodacom Group Ltd. and a former employee, Kenneth Makate, who was claiming compensation for developing a popular call-back service. While Vodacom says its followed court recommendations in trying to settle the dispute, the 40-year-old minister disagreed. 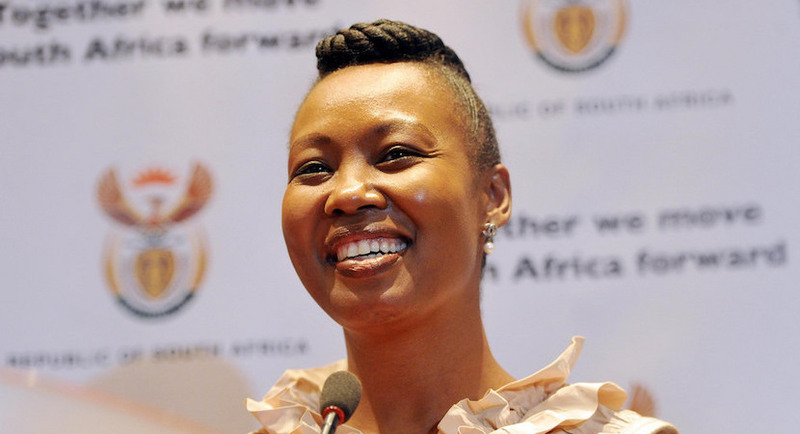 As telecommunications minister Ndabeni-Abrahams oversees the industry in which Johannesburg-based Vodacom operates. She has already been criticised for causing the departure of several board members at the financially-strapped South African Broadcasting Corp. by demanding they stop job cuts. Her spokeswoman didn’t immediately respond to requests for comment and neither did Vodacom. Ndabeni-Abrahams is not the first Ramaphosa minister to cause controversy on Twitter. In December, Finance Minister Tito Mboweni faced a backlash for praising the cleanliness of Kigali, the capital of Rwanda, in comparison to shabby downtown Johannesburg. Twitter users retorted that his party was in charge of the city for more than 20 years and was therefore responsible.